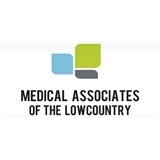 Medical Associates of the Lowcountry (Bluffton) - Book Appointment Online! The physicians with Medical Associates of the Lowcountry are specialized in Internal Medicine at our Bluffton location and Family Practice at our Pooler location. The Pooler location offers extended hours to allow easier access for patient. Our staff is available to answer any questions you may have about our services. If you are new to the area and need to transition to a doctor in our office, we will be glad to provide you with the necessary information to make the transfer of medical information as smooth as possible. We look forward to taking care of you. Very 'thourogh - answers all' questions set up lab work - very personable.